Sir David King believes scientists should invest less time and money on fundamental physics, and focus instead on finding solutions to climate change and poverty. But Professor David L Wark believes his views are misguided. 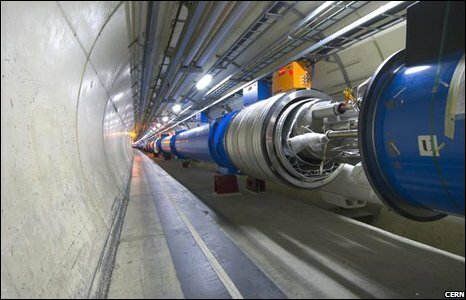 Would the 10,000 scientists who built the LHC be better to tackle climate change? 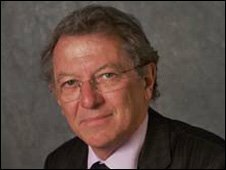 The question of the proper balance of investment between fundamental and applied research was thrown into sharp focus this week, by Sir David King, at the British Association for the Advancement of Science meeting. In his Presidential Address, he gave a cogent and sobering assessment of the challenges facing our growing human population in the areas of resource management and climate change. While few would question his desire to tackle these problems head-on, one of his proposed solutions would be a spectacular own goal, making it much harder to find the new technologies we so clearly and desperately need. If you destroy particle physics and astronomy you will not produce more scientists working on carbon capture, you will just produce fewer scientists. He has said that we should redirect our human capital away from fields like particle physics and space exploration into "the bigger challenges, where the outcome for our civilisation is really crucial". He claimed in his address that he was misunderstood and really had nothing against particle physics or astronomy, he just wanted the people doing those subjects doing something else. I find this belief a shockingly short-sighted position for the President of the British Association for the Advancement of Science, and find his claim that resources thereby saved would necessarily be re-deployed into the areas he supports to be a little naïve. Firstly, to deal with the money, the total annual investment in particle physics, astronomy, and space sciences in the UK is of the order of £300-400m. A nice way to put this into perspective is to realise that the total annual investment in particle physics amounts to roughly one pint of beer per person in the UK. Compare this with the billions of pounds spent on London's Millennium Dome, or the tens of billions spent bailing out imprudent investment bankers, or the trillions being spent worldwide on what Sir David called resource wars in the Middle East. It is baffling to think that you would raid this particular £300M, which is already contributing to technological innovation, to fund climate change research. The UK government has acknowledged a need to increase the R&D budget, which is still lower as a percentage of GDP than our major competitors. There has already been a substantial decline in real terms in UK spending on particle physics and astronomy over the last 30 years, and worsening this decline is a curious way to contribute to an increase in R&D funding. If our government really wished to increase its aid to developing nations there are many sources for the money that would not cripple our fundamental science base. Many will remember that this is not the first time this style of scientific vandalism has been contemplated. 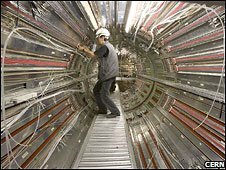 The Large Hadron Collider's even more impressive cousin - the Superconducting Super Collider in the United States - was strangled before birth with the statement that the resources would be better spent on exactly the kind of research into new technologies that Sir David desires. This was a devastating blow to the US fundamental science community, but the hoped-for uplift in other physical sciences funding never appeared and the money just vanished from the science programme. I think it is clear, however, that it is not the money in fundamental science which Sir David is after, it is the people. But I find the implication that researchers can just be pushed from one scientific specialty into another even more implausible. The government has, after all, made little progress in convincing more people in the UK to devote themselves to scientific careers. The challenges which Sir David has identified will not be addressed without many more brilliant scientists, and study after study has shown that it is the fundamental questions asked by particle physics and astronomy which attract young people into science. Young people love the big questions, and they are amazed and inspired to discover that these questions yield to our patient inquiry. Sir David wants the best young minds working on climate change, but if you destroy particle physics and astronomy you will not produce more scientists working on carbon capture, you will just produce fewer scientists. Sir David then gave a bizarre example of a person he wanted to change fields. 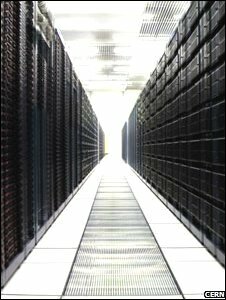 He was quoted on the BBC website saying that Sir Tim Berners Lee, who invented the World Wide Web to meet the needs of information exchange between experiments at CERN, might have done the same thing if he had been working in a solar power laboratory. Of course, it is precisely the huge problem of coordinating the work of groups around the world working on the very complex analysis needed to perform modern particle physics experiments which sparked the invention of the web. So the idea that if you moved the person the idea would have sprung into his head unbidden is nonsensical. Sir Tim has been quoted many times stating that the environment of CERN was essential to the founding of the Web. This shows (yet again) that when you attack the most difficult and fundamental questions you get a wide (and impossible to predict) range of innovations, from MRI scanners to Facebook. The World Wide Web was not invented for solar power, but it will be essential to delivering it. In order to solve the huge problems which concern Sir David we will need a wide range of innovative new technologies, so why attack the institutions which produce those as a matter of course? In fact CERN is an example of the type of wildly successful, self-organised, worldwide scientific efforts that Sir David says are necessary to solve the problems we face (perhaps the most successful ever). To destroy it seems a strange way to start the process of building up others. If Sir David wants to organise scientists worldwide, he should be praising CERN as a shining example of scientific cooperation, not attacking it. So on the question of whether it should be fundamental science or an attempt to solve climate change, I strongly believe that it shouldn't be - indeed I believe it cannot be - either/or. We should be able to continue to push the frontiers of fundamental knowledge while simultaneously attacking the critical questions Sir David has so aptly described. The money is there if we have the will to spend it, and the people are there if we can inspire them to devote their lives to the wonder of doing science. I humbly suggest that Sir David would be better advised trying to inspire us all to accomplish the goals of the organisation he leads, which is to advance science, rather than to suggest plundering one area to the dubious benefit of another.